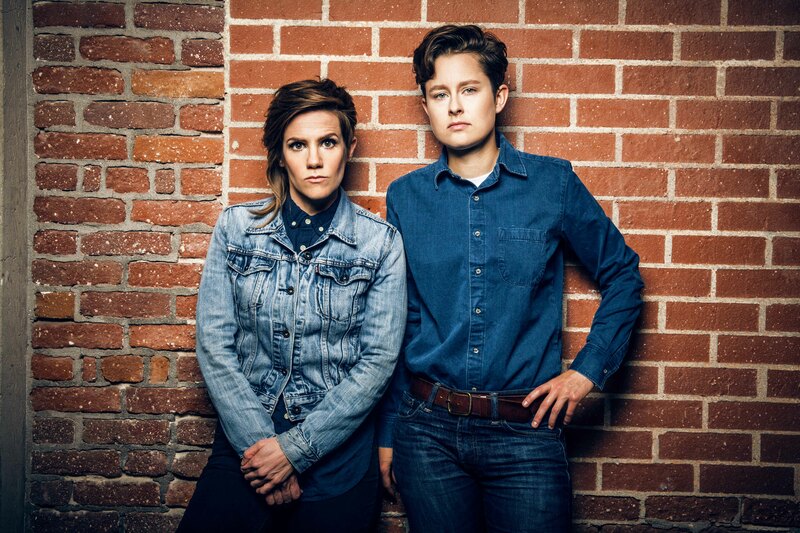 Married comedy duo Cameron Esposito and Rhea Butcher will take the stage at the Majestic Theatre Sunday to perform a politically relevant set about relationships and the U.S. social climate. 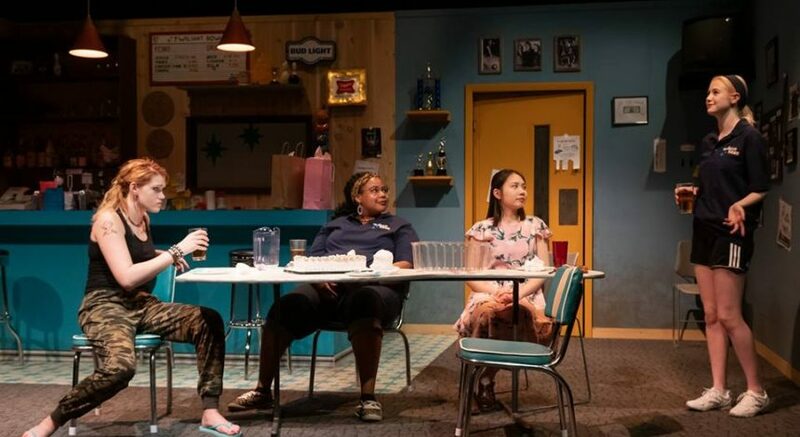 Through their set, the couple hopes they can both provide comedic relief and touch on subjects of importance in a light-hearted yet unapologetic way. Their Madison stop is the last on their “Back to Back” tour, which began in Brooklyn Oct. 8. 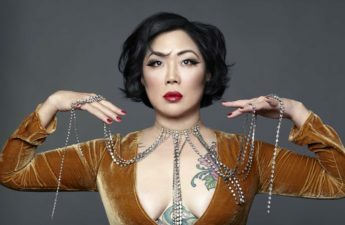 They are also famous for their podcast and live Los Angeles show “Put Your Hands Together” and their comedy series “Take My Wife,” the first television show to be created and co-starred by a gay married couple. Esposito and Butcher focus heavily on relationship humor, especially because they have the unique opportunity to represent both sides of the relationship on one stage. Through this, the comedy duo hopes to shed light on the prevalence of queer identities and provide much-needed representation. The pair has been performing as a team since before they were even dating, after Esposito first saw Butcher perform live. After meeting, Esposito immediately booked Butcher to open for the shows she was currently headlining. As they gained more experience working together, Butcher transitioned from an opener to a co-headliner, and the two have been inseparable since. Live stand-up is their preferred medium, despite having long-term experience in other areas such as podcasts and writing, Butcher said. Esposito holds similar feelings regarding live performance, and describes it as a transcending feeling. Due to their similar senses of humor and tours together, a competitive nature unsurprisingly forms between them, Butcher said. However, they assured that it’s all in good fun. Sets may not always be perfect, according to the duo, but that shouldn’t deter aspiring comedians to continue doing what they love. If an audience doesn’t respond to a joke, Esposito and Butcher explained that it’s an exhilarating, raw feeling that only compels comedians to try harder. 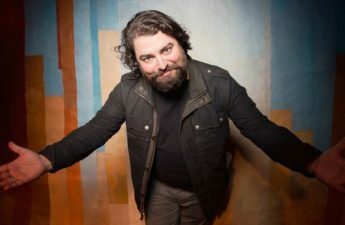 Esposito and Buther encourage others pursuing comedy as a career to gain exposure and experience through continuous practice, and to attend and watch lots of comedy shows, too. 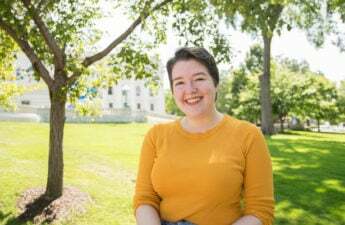 While Madison has a growing stand-up scene, Butcher encourages emerging stand-up comedians to visit Chicago to experience their live comedy scene firsthand at least once. “It’s a skill that you learn via apprenticeship and by doing it. You have to learn by doing. If you want to be a comic, get out there, do your first open mic, then do your second open mic,” Esposito said. Esposito and Butcher are also awed by the amount of support they receive, and make continuous efforts to connect with fans of their shows. Live tours and the shows “Take My Wife” and “Put Your Hands Together” created a humbling sense of community in their fan base, the couple said. The couple is excited to meet old fans and new, and see how their fan base has grown. Esposito and Butcher will take the stage at 7 p.m. on Sunday, Oct. 15, and urge Madison fans to make an appearance. “I promise you that it will be up Madison’s alley. Trust me, I’ve only ever had great shows there. Such a great city, I love it,” Esposito said.